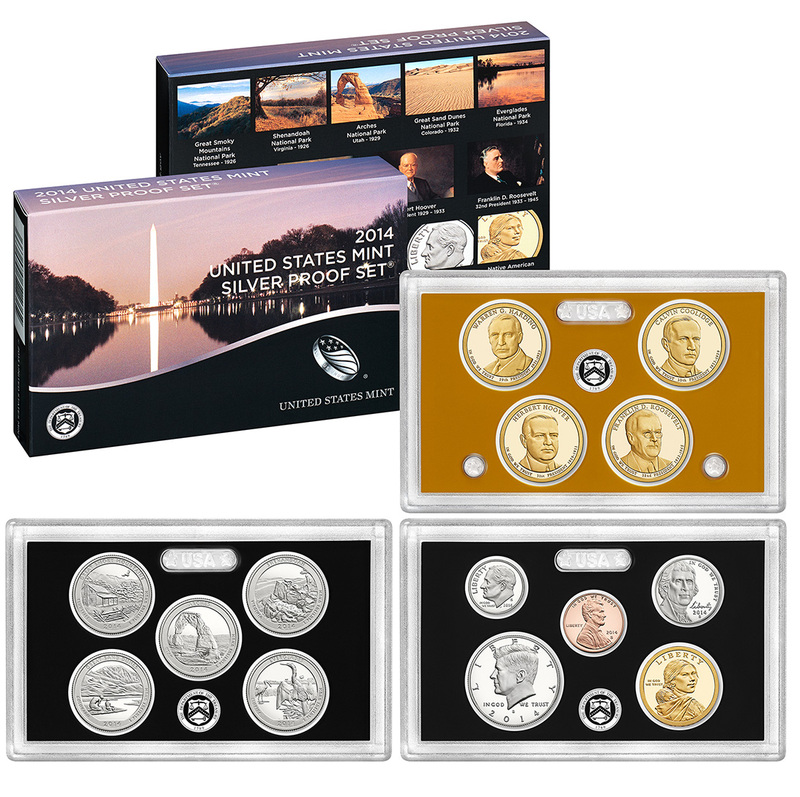 The 2014 United States Mint Silver Proof Set contains proof quality examples of fourteen different coins and is scheduled to be released on Tuesday, April 29, 2014. Seven of the coins are struck from 90% silver. Included 2014 strikes are the Native American $1 coin, the four Presidential $1 coins, the Kennedy Half Dollar, the five America the Beautiful Quarters, the Roosevelt Dime, the Jefferson Nickel and the Lincoln Cent. Of these fourteen coins, the half-dollar, the five quarters and the dime are struck from silver. The set appears in three separate protected lenses. Pricing is expected to be $53.95. 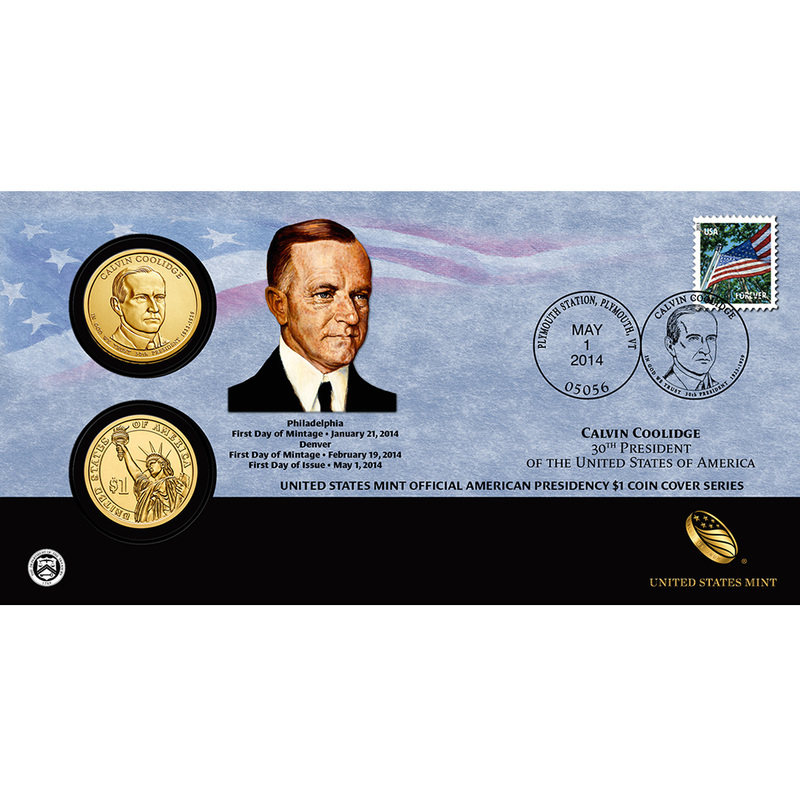 On Thursday, May 1, 2014, the 2014 Calvin Coolidge $1 Coin Cover will be issued by the U.S. Mint. 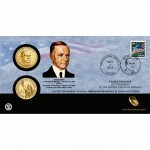 Included in the coin cover are two examples of the 2014 Calvin Coolidge Presidential $1 Coin. One of the coins was struck in Philadelphia on January 21, 2014 with the other struck in Denver on February 19, 2014. These two dates represent the first day of production for the coins at their respective facilities. Both are attached to the same display card. A Flag for All Seasons (Forever®) stamp is attached to the card and was postmarked on May 1, 2014, Plymouth, VT.
Pricing of the cover is $19.95.